Throughout the 100 year history of the Indianapolis Motor Speedway several individuals have distinguished themselves in a variety of colorful and noteworthy ways. From the original owners/founders to Tony Hulman, personalities who brought the racing to the people including folks like Sid Collins and Tom Carnegie, the mechanics, drivers and owners, and the lore and stories surrounding anyone and everyone who worked, watched or listened make up a rich tapestry of history that should never be lost. 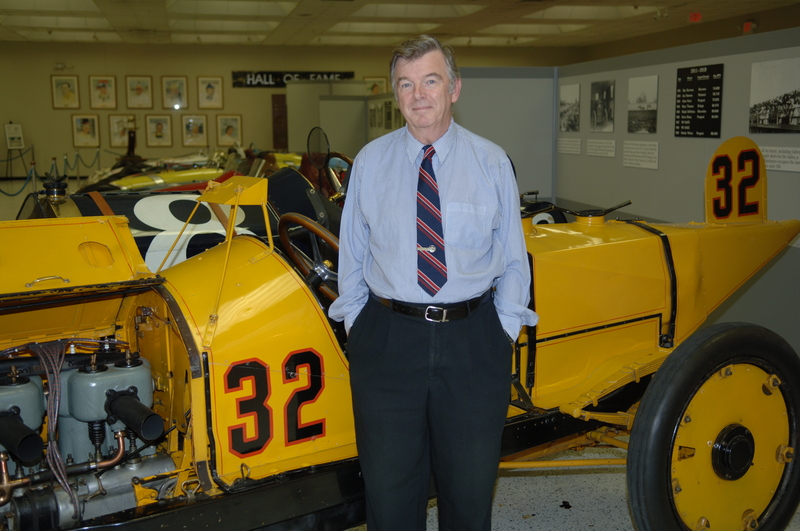 The one person any racing fan is the luckiest to have around is Donald Davidson, the IMS Historian whose uncanny knack for storing even miniscule historic facts is uncanny. He is the treasure hunter’s treasure hunter for all things IMS and the 500. Most racing fans have no idea how lucky they are to have someone like Donald keeping track of everything from the very beginning. In his typical self-effacing style he will tell you it is not really a big deal but for passionate racing fans the preservation of the rich history of IMS is paramount. Donald freely shares what he knows with most anyone who asks, and he genuinely relishes listening to stories and anecdotes from like-minded fans. The big picture problem is that Donald, like all of the rest of us, will not be around forever, and there is not really any person alive who could replace him. Therefore the preservation of what is in his mind is essential for generations that follow. One such person who has begun tackling the challenge is Mike Thomsen, who continues painstakingly archiving the history of IMS in a website hosted on WIBC site. In that site are collections of Donald Davidson stories from the popular and long running ‘Talk of Gasoline Alley’ series, as well as other 500-related audio and specials. Mike says the project is still young and has a way to go. The content is already extraordinary and our hats are off to both Donald Davidson for collecting, remembering and sharing the history and to Mike Thomsen for spearheading such a remarkable effort to preserve it. For fans of the Indianapolis 500 and IMS this is utterly fabulous. A tip of the hat to all involved, and most important . . . thank you and keep up the great work.